To communicate to others about our concerns without creating conflict requires skill. To begin, sometimes the pressing concerns might be perceptions of how someone or others might have offended us. We might base the concerns on one’s reckless behavior; one who probably didn’t pay attention to what they were saying. However, we have to remember that at some point we also offended others unintentionally. Note that we base our communication style on who we are, our thought patterns, and emotional states. A happy person will communicate in happy terms. An angry or sad person will communicate in a way that reflects those states. So, sometimes someone might communicate rudely because they are dealing with inner discomforts. When we point out what they did and how wrong they were, we create scenarios that can inspire them to fight back. They perceive us as enemies because we’ve triggered their “fight” sense. We have focused on what we believe is wrong about them: which creates more of the same behavior—considering that energy flows where the focus is. We are also focusing on them, and not on ourselves. We are resisting their behavior, which creates more of it. It is like opening a tin of worms. The question then is, how can we communicate our concerns without creating conflict? Let’s imagine that your boss screamed at you for something you didn’t do. To address your concerns, you say: “You screamed at me for something I didn’t do, and that makes you a very rude person.” When we evaluate the meaning of this statement, it’s clear you are apportioning blame, you have made conclusions about their character, and you have told them what you don’t want. Let’s imagine that you are the boss, how would those statements make you feel? How would you react or respond to your employee? Although you might concur that you were wrong, the way he/she communicated could trigger feelings of anger or defensiveness within you. Note that a relationship based on blame crumbles more often than not. Instead of, “You screamed at me for something I didn’t do, and that makes you a very rude person.” Consider, “When you screamed at me, I felt uneasy. I request that you tell me what you want or mean.” With the preceding statement, you haven’t made conclusions about their character, you haven’t blamed them, and you are making a request—which makes them feel important. You are also telling them what you want—which directs their attention from themselves to you. When we communicate in terms of what we want, we help others understand what we want. We also avoid arguments. The idea is to be persistent in communicating in those terms. Because some people won’t get it immediately. They might be so accustomed to communicating in terms of what they don’t want and will not relate to your communication style. However, the more you stick to your positive communication trends, the sooner they will learn or at least mirror you. 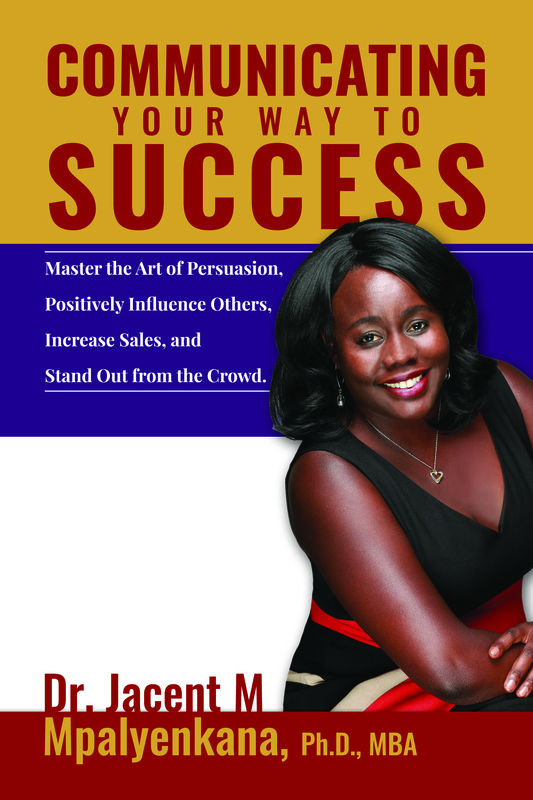 In my book, Communicating Your Way to Success: Master the Art of Persuasion and Become the Authority of Your Craft, I share simple, proven tools of how to influence others to do what you want without taking away from what they want.